NANOTEC organized the “Japan–Thailand Joint Seminar 2017 under JASTIP Program” Collaboration Hubs for International Pro-gram (CHIRP) of Strategic International Collaborative Research Program (SICORP), Japan Science and Technology Agency (JST) and the JASTIP program–WP2 (NSTDA-Kyoto University collaboration) on Tuesday 26 September 2017 at Thailand Science Park. This is the 2nd seminar organized by NANOTEC under the project Innovations in Biomass Application for Catalytic Material Synthesis and Energy Devices. 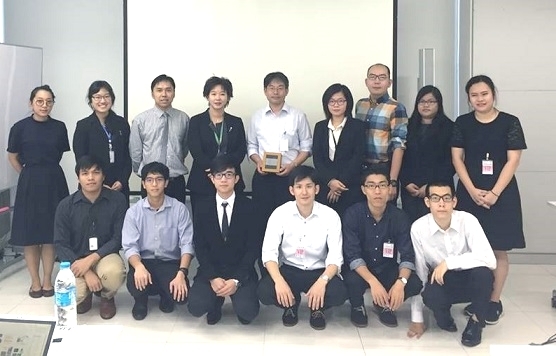 The aim of the seminar is to disseminate and share information and knowledge of Innovations in Biomass Application for Catalytic Material Synthesis and Energy Devices between Kyoto University delegates and Thai students, and to further strengthening research network through JASTIP platform. JASTIP (Japan ASEAN Science and Technology Innovation Platform) was launched in 2015 to develop a platform of three fields, energy and environment, bioresources and biodiversity and disaster prevention, for Japan-ASEAN science and technology cooperation to achieve sustainable development in collaboration with various stakeholders in ASEAN and Japan. BIOTEC, MTEC and NANOTEC work together with the researchers, students from Thai universities under the concept “Biomass to Energy and Chemicals: B2EC”.